Calling all wine lovers! 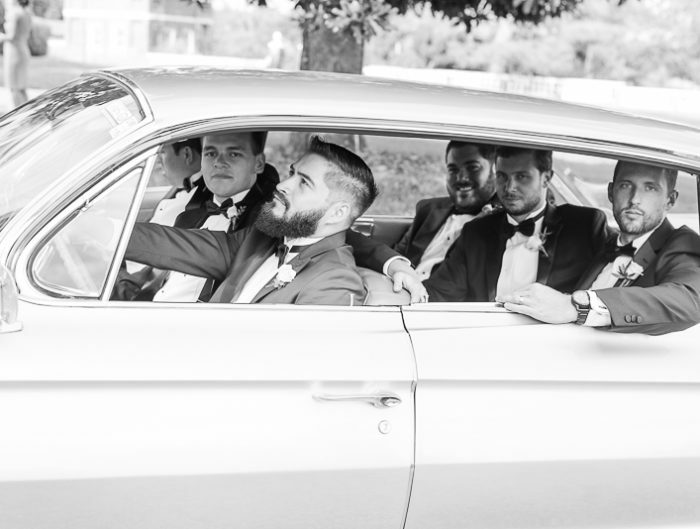 If you’re searching for a venue that encompasses breathtaking views and your love of wine, then today’s virtual DC area wedding venue tour is just for you. Today, we’re heading to the rolling hills of Virginia wine country at the Tuscan-inspired Potomac Point Winery. 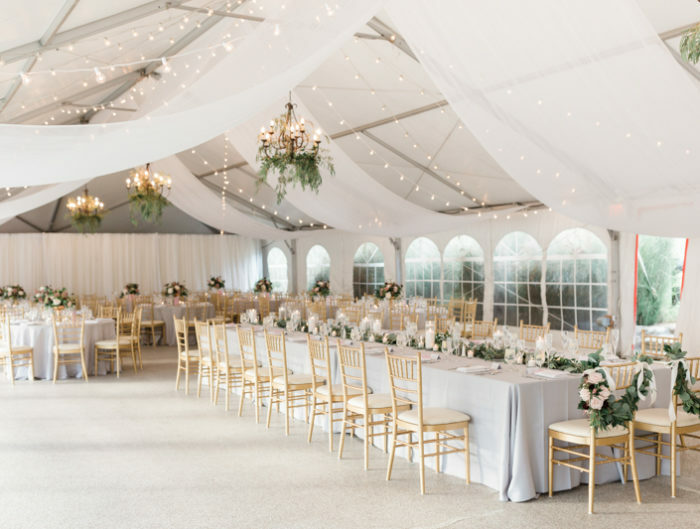 Whether you’re hosting an intimate occasion for 40 or a grand fÃªte for 250, Potomac Point Winery has several settings, both indoor and outdoor, that can accommodate you and your guests. In addition to spaces made for the main events of your big day, let’s not forget about the private bridal salon and proposal tower, a romantic setting for two that’s perfect for popping the question. A proposal and wine? Yes, please! Thanks to Ever After Visuals, Heather Bee Photography & Theresa Choi Photography, we have three celebrations to share that really show off all that this gorgeous winery has to offer! For Natatia and Peter’s autumn wedding at Potomac Point Winery, the procession began at the wine cave as the bride was walked down a stunning aisle to her groom and guests at the bottom of the vineyard. Theresa Choi Photography was there to capture the wedding party cross over the ceremony ground’s bridge and the happy couple exchange vows under the hand-forged copper gazebo. The festivities continued in the Richland Ballroom (a space that can accommodate up to 250 guests) which overlooks the lush, bowl-shaped vineyard. This grand space is lined with French doors that lead to the patio, creating additional space for guests. 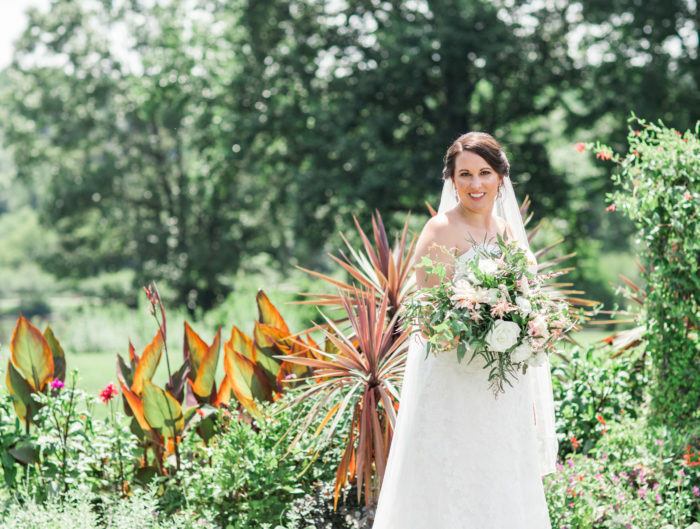 For a truly romantic setting, you’ll want to follow in Nicole and Michael’s footsteps and head to the the more intimate settings at Potomac Point Winery. In their wedding engagement session with Ever After Visuals, this duo took photos in the Library Room where the walls are adorned with a case of each kind of wine the venue serves. This space is perfect for an intimate and romantic dinner for up to 8 (think birthdays and anniversaries). After a few photos, they headed to the Barrel Room, a room with a truly Tuscan atmosphere from the bronze chandeliers to the arches and stucco walls, a great spot for a rehearsal dinner or wine and cheese bridal shower. The Vines to Vows package at Potomac Point Winery includes a space for a rehearsal dinner, a ceremony on the grounds, a wine and cheese hour on the patio, a reception in the Ballroom and grape stomping! How fun and unique is that? Keri and John had a little bit of vineyard fun in their wedding beautifully captured by Heather Bee Photography. They also stopped for a few photos on Proposal Tower, too! Does Potomac Point Winery sound like the place for you? Contact Chelsea at 540-446-2250 or via email for more information, or visit their website right here. For more wedding location ideas, check out other virtual wedding venue tours in the DC, MD and VA area, or browse for local Washington DC area venue options. * Ever After Visuals and Potomac Point Winery are two of our fabulous sponsors, but did not pay for this post. For more info, please review our editorial policies or consider becoming a sponsor.